Abnormal secretion of insulin and glucagon are key hormonal defects in the pathogenesis of diabetes. Type 1 diabetes is characterized by severely impaired β-cell function; glucagon secretion in response to hypoglycemia becomes impaired over time. In type 2 diabetes, hyperglycemia results from impaired insulin secretion allied to inappropriate glucagon secretion. Analysis of islet α- and β-cell function is required to understand the pathophysiology of diabetes and the mechanisms of action of pharmacotherapies. Assessing the integrity of the incretin axis and α- and β-cell function has come to prominence with the development of the dipeptidyl peptidase (DPP-4) inhibitors and glucagon-like peptide (GLP)-1 receptor agonists, as well as glucagon receptor antagonists. 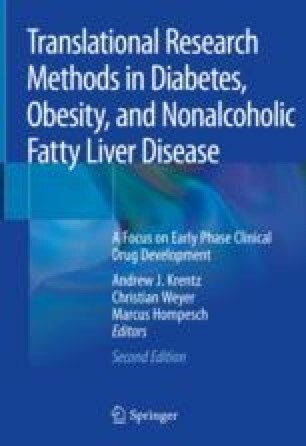 The range of techniques for the clinical assessment of insulin secretion and response to therapeutic interventions reflects the absence of a gold standard reference method. Since no single method adequately captures all potentially relevant aspects of α- and β-cell function several methods may be required to inform drug development decisions. Wewer Albrechtsen NJ, Junker AE, Christensen M, Haedersdal S, Wibrand F, Lund AM, et al. Hyperglucagonemia correlates with plasma levels of non-branched chained amino acids in patients with liver disease independent of type 2 diabetes. Am J Physiol Gastrointest Liver Physiol. 2017; https://doi.org/10.1152/ajpgi.00216.2017.